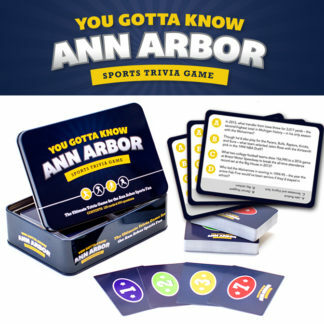 View cart “You Gotta Know Ann Arbor Sports” has been added to your cart. 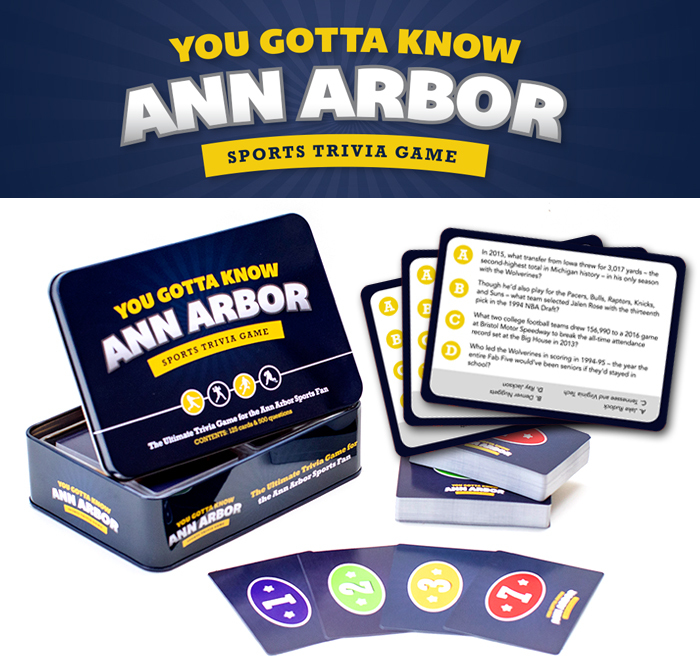 You Gotta Know Ann Arbor is the addictive sports trivia game made just for the Michigan sports fan. 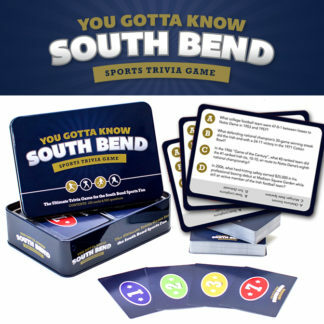 With 500 questions, there’s something for everyone from the casual fan to the obsessed sports geek. Football. Basketball. Hockey. Rivalries and great moments that every Wolverines fan remembers. It’s all here. 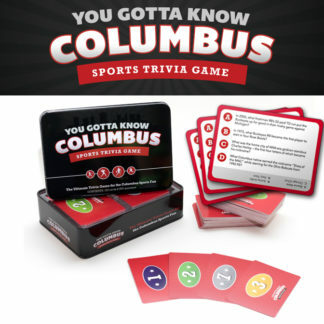 Each card has a point value (based on difficulty) for easy “race to 21” game play… or just ask the questions to your buddies while you’re drinking beer. Football. Basketball. Hockey. Rivalries and great moments that every Wolverines fan remembers.